Some things in life are meant to happen, some people are meant to walk into your life and make a difference. I met (virtually) Namrata when I had taken the prompts for one of Preeti Shenoy's books in January 2012. Memoirs of ME became one of the blogs I started reading frequently and Namrata's words touched my heart. I HAD to know the person behind those words. Some words inspired me, some soothed me when I was depressed, some posts gave me assurance that I was not alone and some posts made me understand life in a better way. From blogger friends to co-admins of Writer's Ezine, our journey together is an interesting story; a story for us to cherish and treasure. An investment banker by profession and a child - woman, a dreamer, a dancer, a bibliophile, an author, a poetess, a writer, a painter, a singer, a go-getter, a doer, an achiever by passion is how she would like to be described. Having spent close to three decades on this planet she is still very inquisitive about this enigma called LIFE though it is her biggest teacher and inspiration. Mastering the nuances of finance does not deter her from giving voice to her inner most feelings at her Blogs. Having been bitten by the writing bug very early in age she had her first poem published in a coffee table book "Letters from the Soul" anthology of poems at the age of 17. 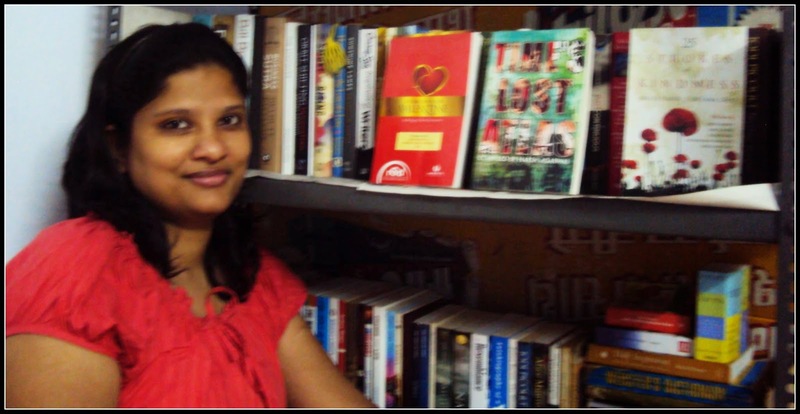 Her short stories have been published in various anthologies like 25 Strokes of Kindness by Grapevine India, Time's Lost Atlas by Half Baked Beans Publishing and Social Potpourri Anthology Part II. 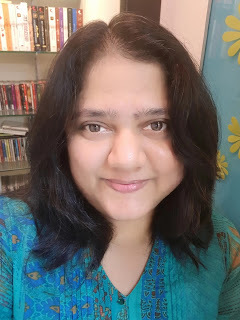 Apart from being a reviewer for leading publishing houses, she is also a regular writer for Kaleidoscope e-zine, Indus ladies along with various in house magazines at her work place. Her world is made up of loads of wonderful books, a handful of beautiful souls and tons of memories she gathers every moment. She dreams of making a difference to the world, one word at a time! What follows is a friendly interaction / interview with her to introduce the wonderful soul named Namrata to my blog readers. 1. Take us through the journey of Privy Trifles. It is there for everyone to see but we would still like to hear it from you. Privy Trifles was born on 8th March 2011 at 10:53 pm. Seemed like the perfect day – International women’s day. As a girl in our society there were many instances where I had to let go being me and become something for the sake of others. So this blog was born out of that need – to be just me. Share my thoughts, my fears without being ridiculed upon. From there began a journey I was completely unaware of. I wrote, read, made friends but most importantly learnt at every step. Till that time I was a bit vary of the internet world but in the last 3 years I have seen the better side of it very beautifully. Today I have some friends who are much closer to me than my real friends and in a way I can say it has made Privy Trifles what it is today – an identity I am immensely proud of. From not knowing what to write to having some 1200+ blog posts today in a span of 3.5 years it really feels amazing. 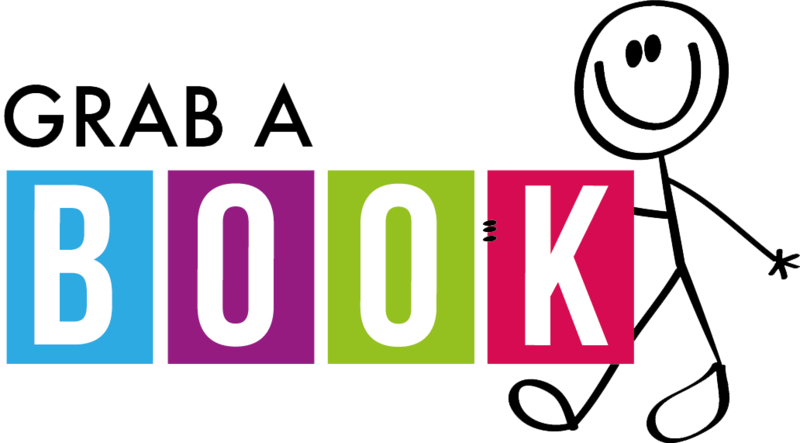 From being a blogger to joining facebook, twitter, having a website of my own and most importantly becoming an author – for it all the roots lie in those two words Privy Trifles. Had it not been for that, perhaps it wouldn't have been what it is today. 2. Tell us something about your books. When I began writing I never thought I could write stories.... and today people compliment me on my story telling skills, it surely is a huge leap of faith for me there. When I began blogging becoming an author was never in the mind. But as time passed things began to take a shape with lot of support and encouragement from my fellow bloggers. If you would have seen all my three stories talk about love, life and relationships – the core of my existence. I like to bring out the simplicity of these and highlight their beauty through my stories. And today thanks to all my lovely blogger friends whose faith in me has made me work on my own manuscript! 3. From there to here, how does it feel? Has anything changed for you after all this? Amazing wouldn't be enough to describe the feeling. It is a very surreal feeling as I see all that is around me right now. It is like coming from nothing to something. Per se nothing has changed but on a closer look yes a few things have changed. Like the way I perceive people and ofcourse the way I perceive myself now. I learnt people come in all categories – good, bad, ugly, worst and best. It is upto you whom you choose to be with. Despite all the ugliness life continues to be the most beautiful thing on earth. And as for me – I learnt that I can, no matter what. 4. Take us through some of your important achievements till now. Achievements would be a wrong word for I haven't achieved them. They are my dreams that turned into a reality. And all I can say is keep dreaming - they do come true! Last 3 years made me add three important words to Privy Trifles- author-editor-reviewer. Reviewer is for the story lover in me. That kid whose eyes would twinkle every time she read a story and she would let her imagination take her to all those lovely places described in them. Author is for the story teller in me. those wonderful tales that keep drifting around me in the air. I try to grab them and weave them in my tales to capture their magic. Editor is for the word lover in me. Writer's Ezine has been like a dream, something am yet to believe is a reality. Every month with each issue the though that dreaming is believing gets more stronger. You have been very benevolent in sharing your most precious possession with me so that we can shower it with best of both the worlds and it turns out the most perfect example of par excellence. 5. If it wouldn’t have been this then what would you have been. 6. You are a reviewer –author-blogger-editor – how does it feel to juggle so many roles. Which one is closest to you? A very very difficult choice, next to impossible. Each one of them defines me in a different yet unique manner. My love for books makes me a reviewer. My love for stories reflects in me being an author. My madness for the written word makes me a blogger and editor. How do I separate them when they actually are a part of my existence! 7. How different is the real Privy Trifles from the Privy Trifles we know. To put it simply, Privy Trifles is Privy Trifles. The real and the one you know are the same -straight forward, honest, emotional, dreamer and a believer. 8. Privy Trifles and Namrata – what are the similarities or differences between them. Namrata might pretend and be fake someday. Privy Trifles will never be. Namrata might hide her true feelings, Privy will never. They are like alter egos at times starkly different while sometimes they merge like they were one always. The only and biggest similarity is they both are madly in love with life and are eternal dreamers. 9. What are the pros and cons of being a part time writer? Pros: You get the chance to see the world from two different angles – one as a writer and the other from the work that you do otherwise. It is fabulous as you never get bored of anything. Your world keeps switching between the two parts and hence you are always busy! Cons : You always feel short of time to write all that comes to your mind ^_^ 10. All your writings talk about life and relationships at large, any specific reason for it? I believe relationships define us and they make us what we are. They are supposedly the most beautiful part of us and yet the most complicated one. Through my stories I attempt to recreate their magic and remind what is there and yet missing from our lives. 11. You always say “We all are story tellers.” Why so? We are undoubtedly. We tell lies to save ourselves, we gossip adding our own versions to various incidents, we tell imaginary stories to our children... these are all traits of story tellers. We have some stories within us which make us what we are knowingly or unknowingly. It is just that we don’t deem them so important as to be narrated. And I firmly believe each one of us is an untold story, waiting to be told, heard, understood, felt and lived. 12. Define yourself in one word. Pragmatic (Perhaps!) 13. Describe the biggest moment of your life as Privy Trifles. 14. Would you like your work to be for mass or class and why? I wouldn't categorize my readers into either. I write to touch hearts and if I manage to do that for even one person I would consider my writing fruitful. Everybody who enjoys reading is a wonderful soul who trusts you to guide their soul into an unique experience which only you can give through your words. And I for sure would not like to break that trust. 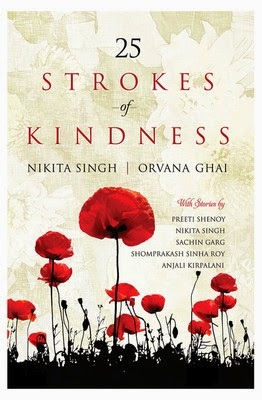 The book consists of 25 stories about acts of kindness which were, according to the author, worth mentioning. The stories were carefully chosen and are taken from incidents that have taken place in the lives of 25 different people. 25 stories of acts of kindness that were worth mentioning have been included in this book. 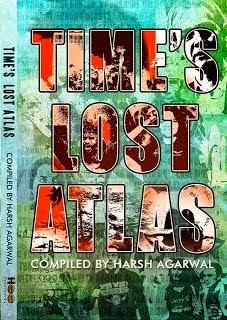 Ready to travel to Pakistan, London, Nepal, China, New York, India, in one single book? 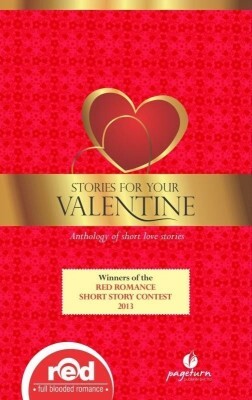 With 11 stories encompassing 11 major events of the last decade, this anthology is a concoction of tragedy, romance, mystery and thriller, brewed to perfection to ensure a nail biting experience. Reminisce and relish the events which shook the world. Breathe the freshness of past, dive into the reasons that shaped the world as it is now, walk through your bygone times, fly across the continents marking your longest journey ever - for you hold the Time's Lost Atlas in your hand.